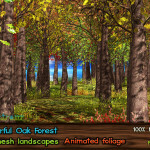 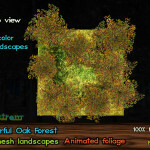 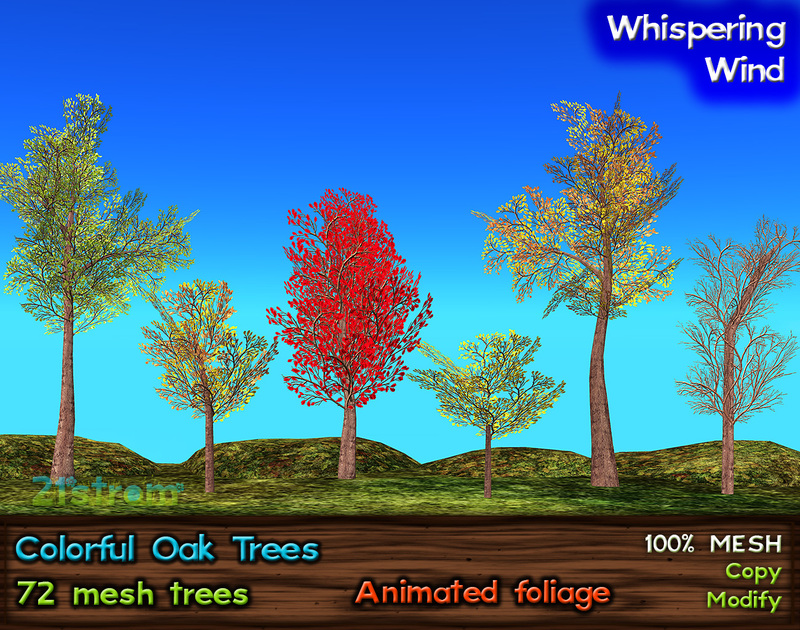 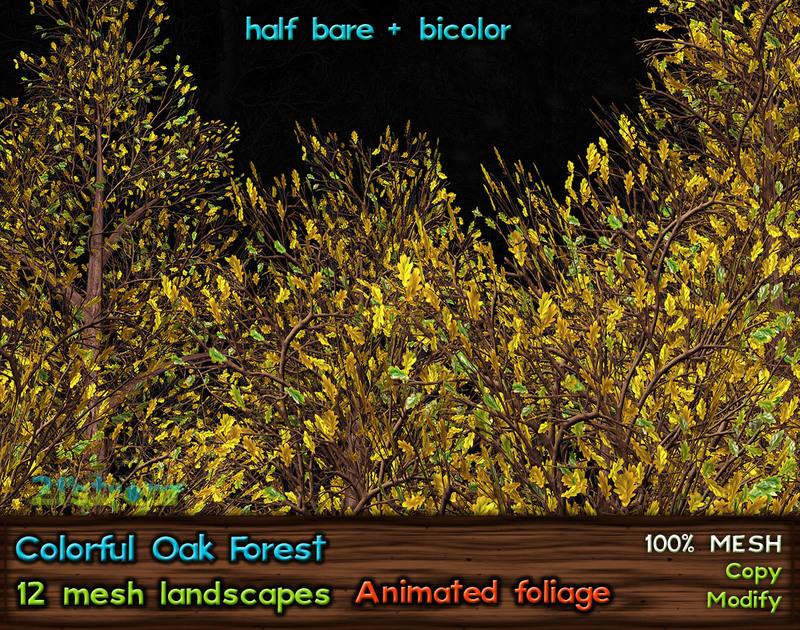 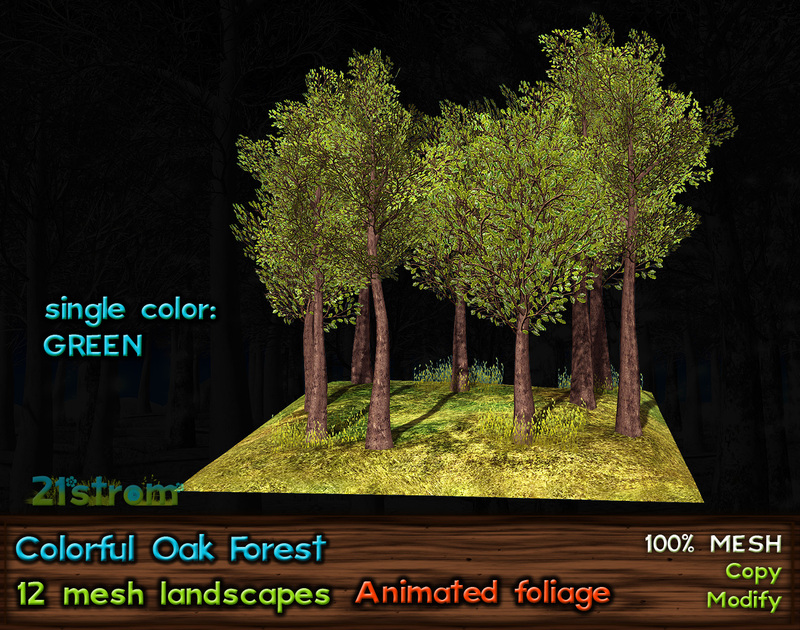 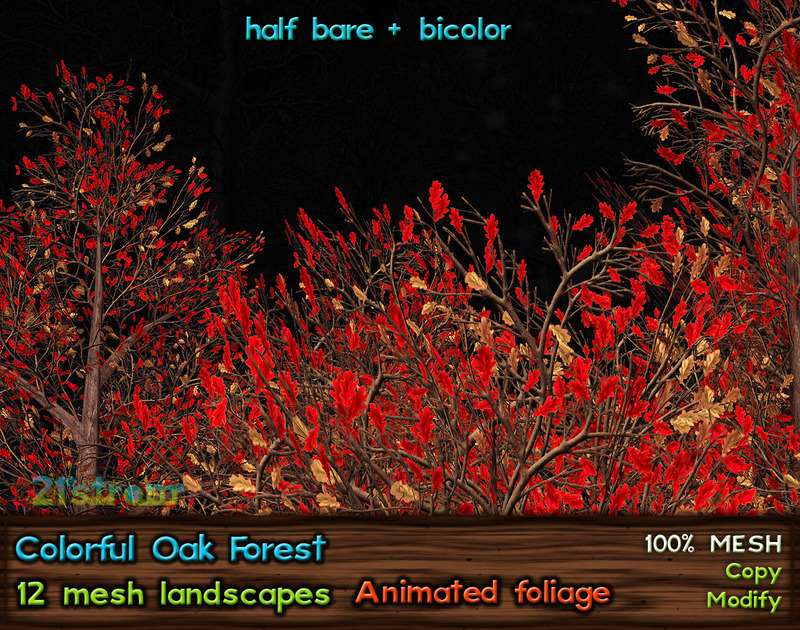 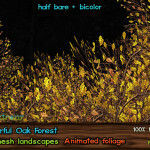 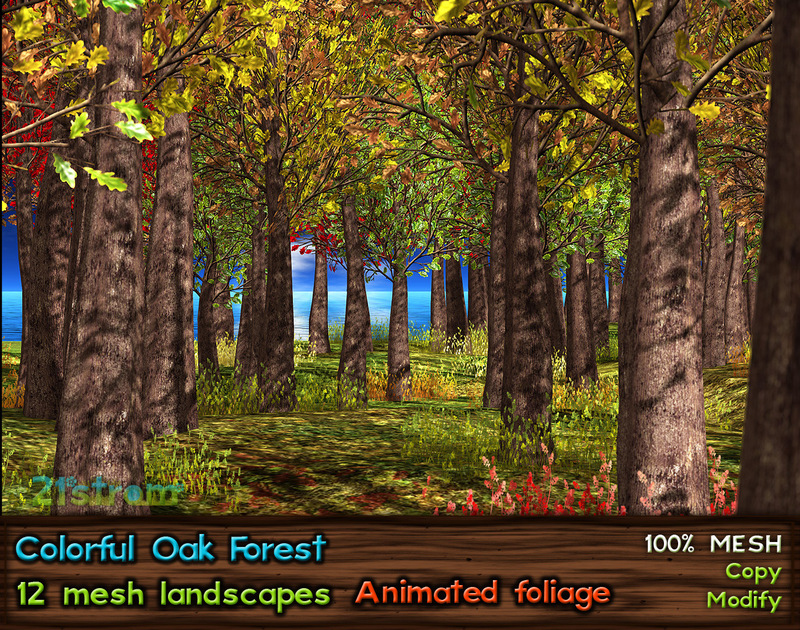 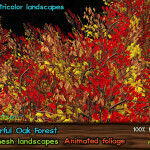 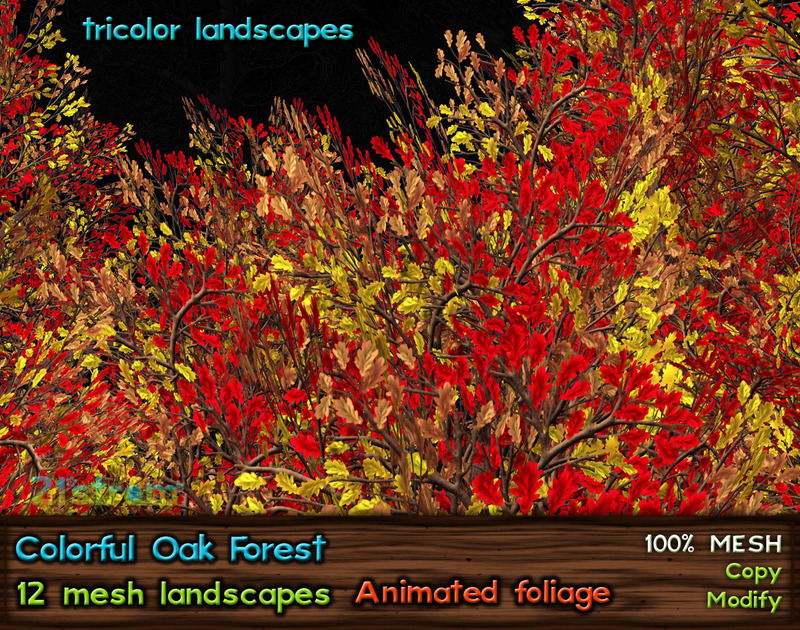 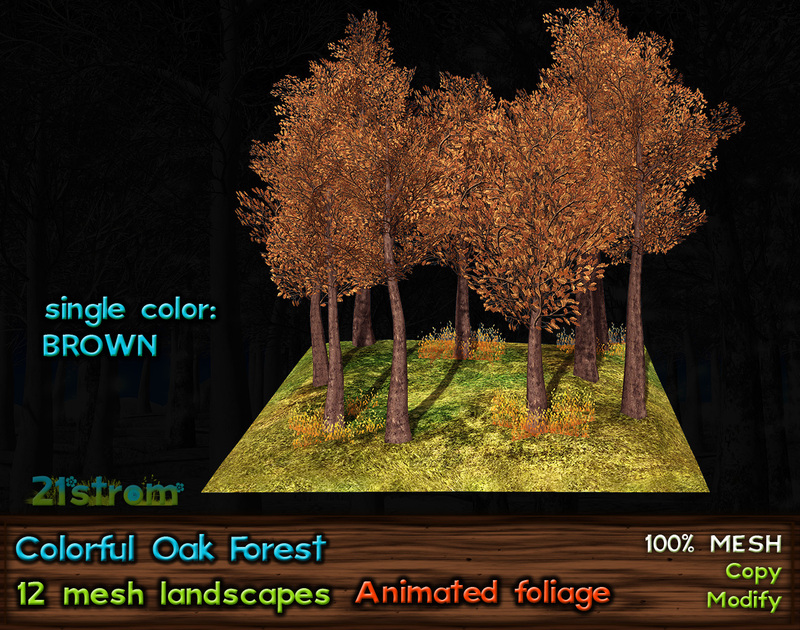 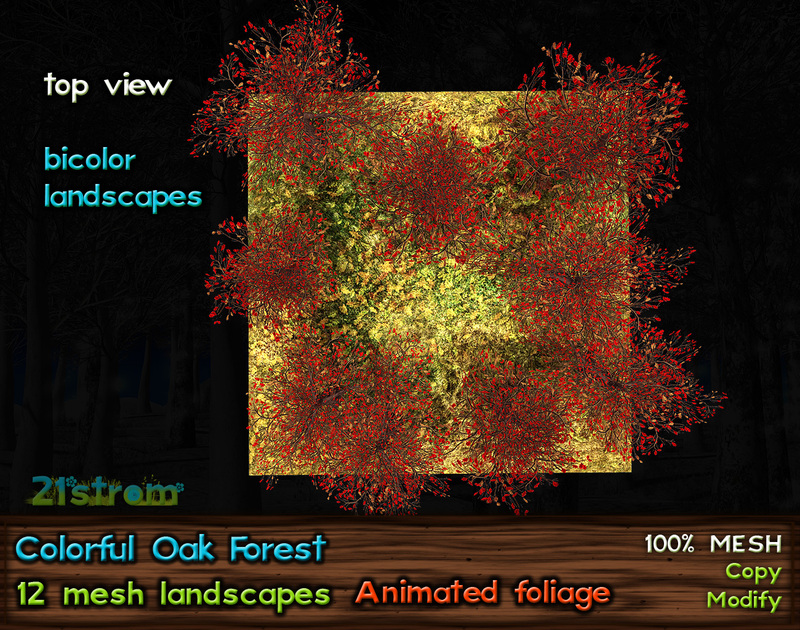 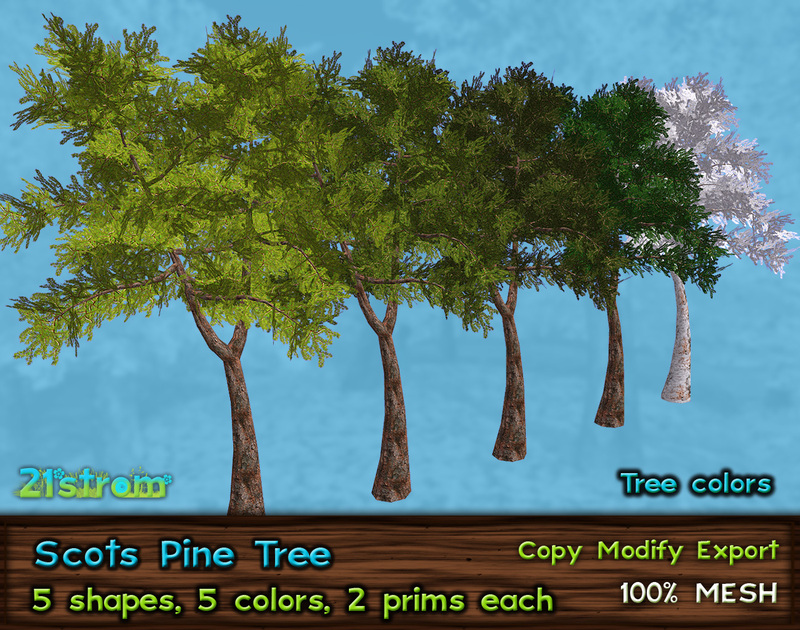 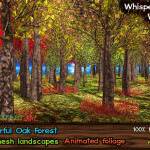 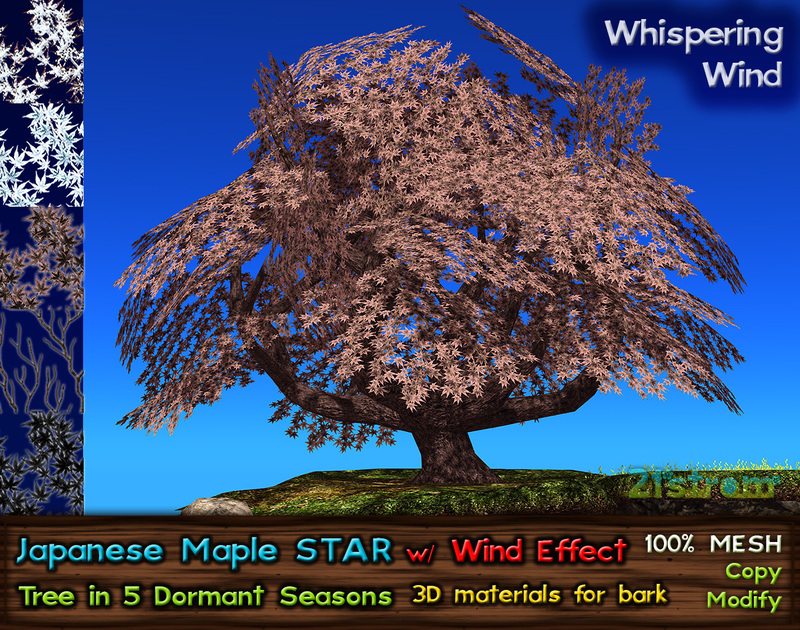 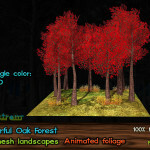 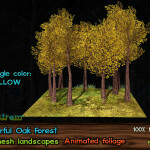 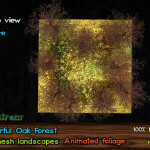 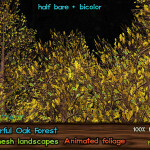 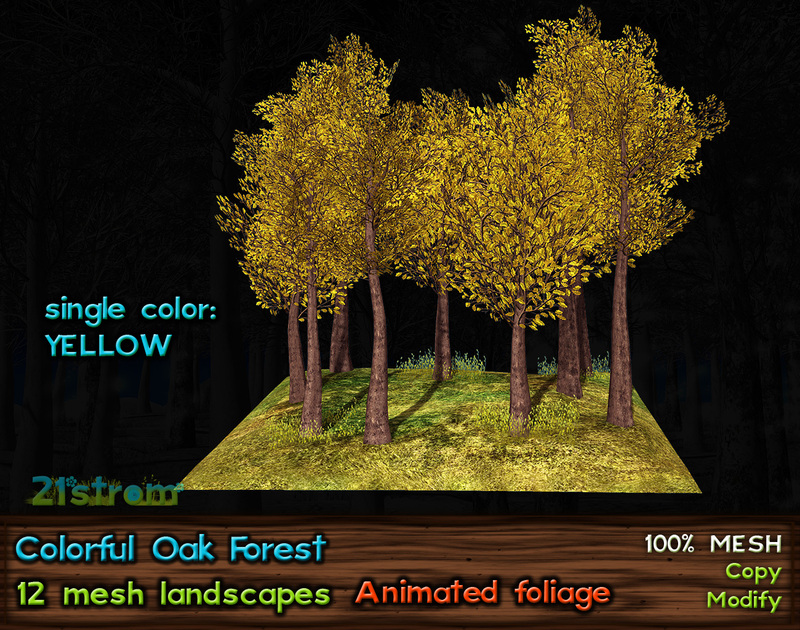 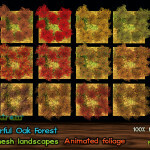 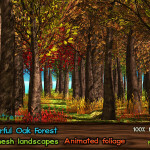 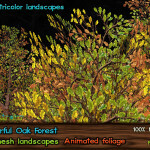 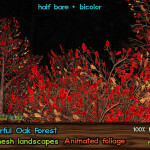 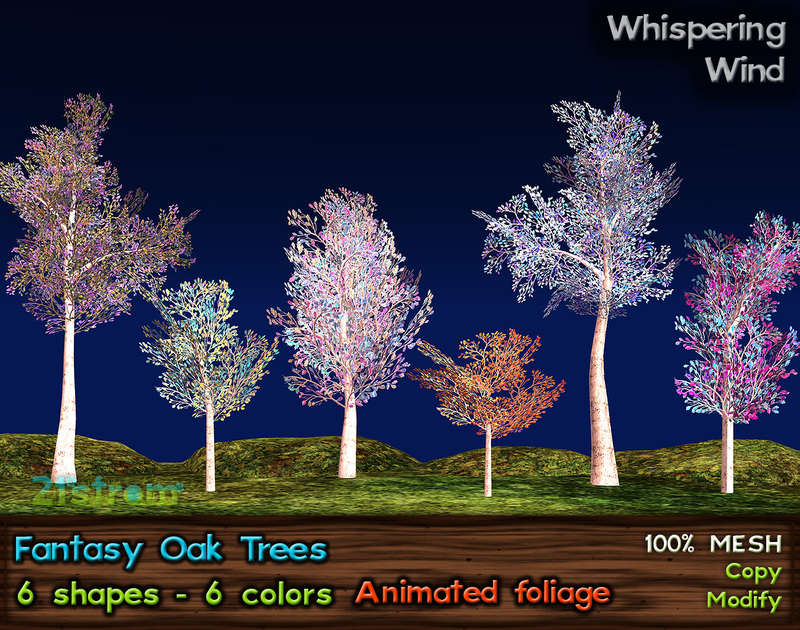 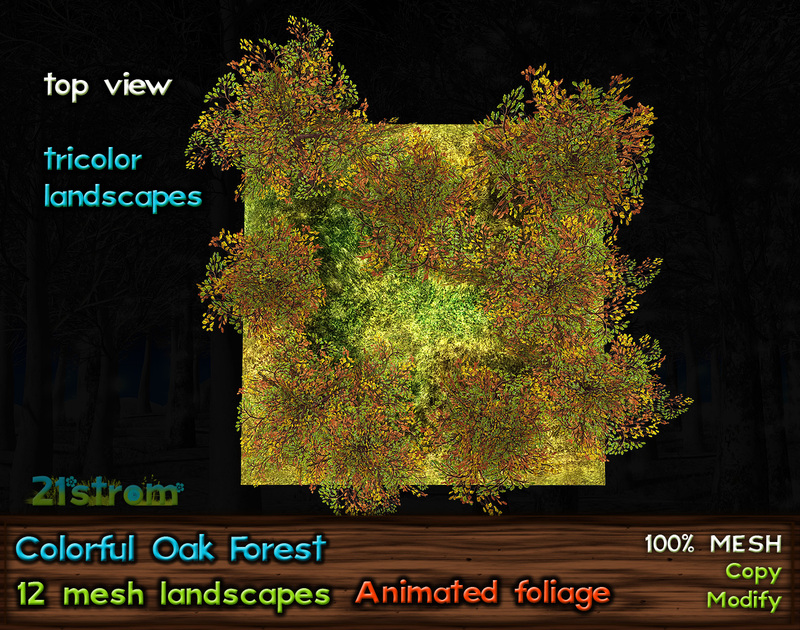 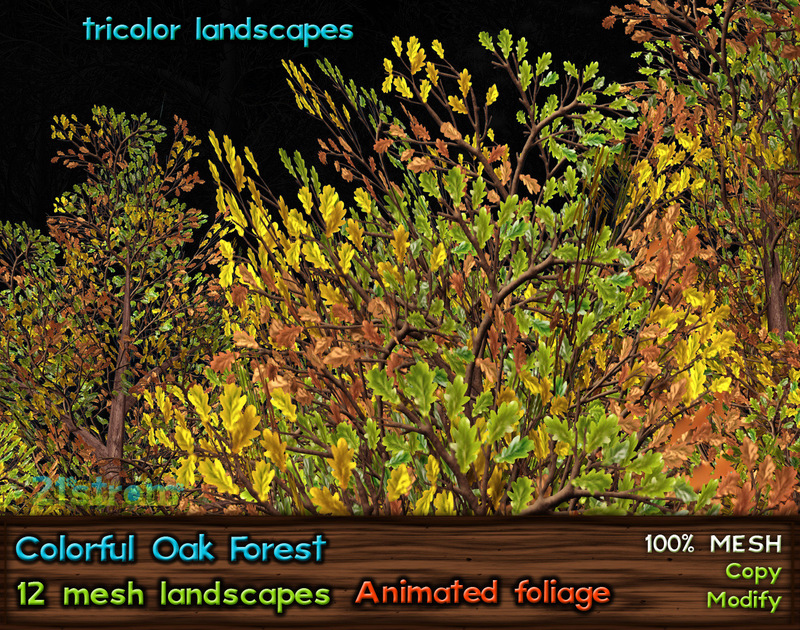 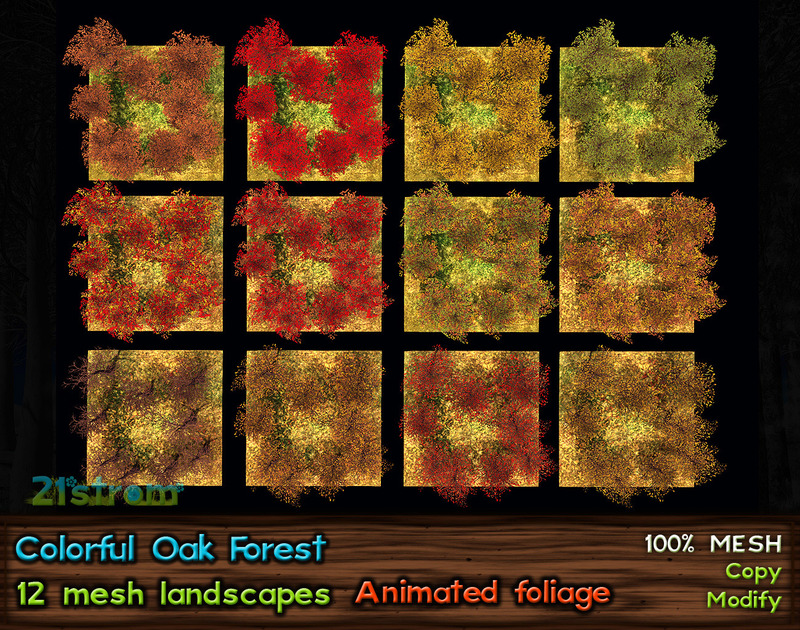 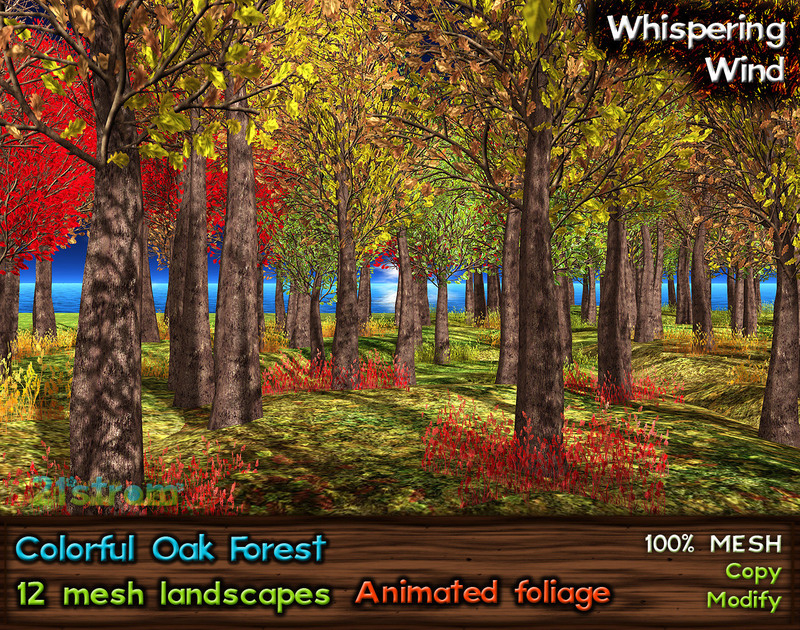 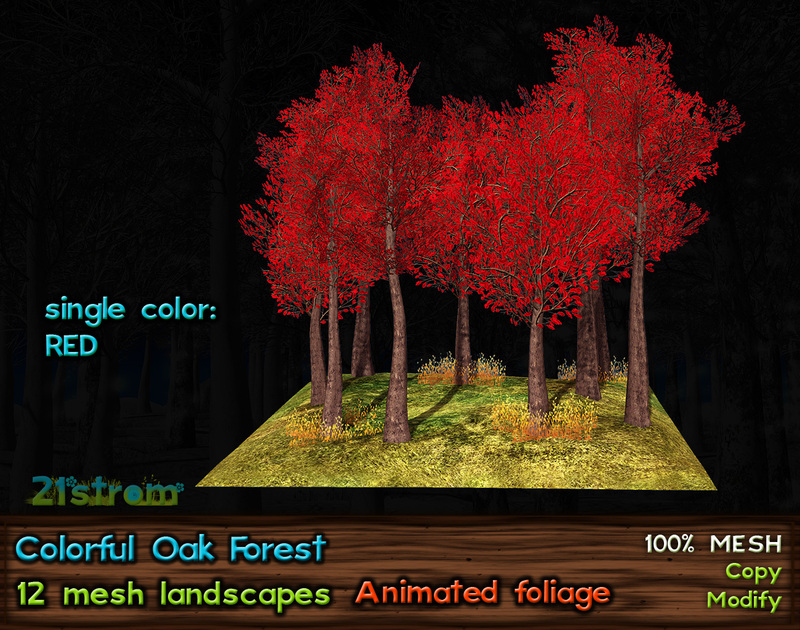 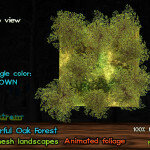 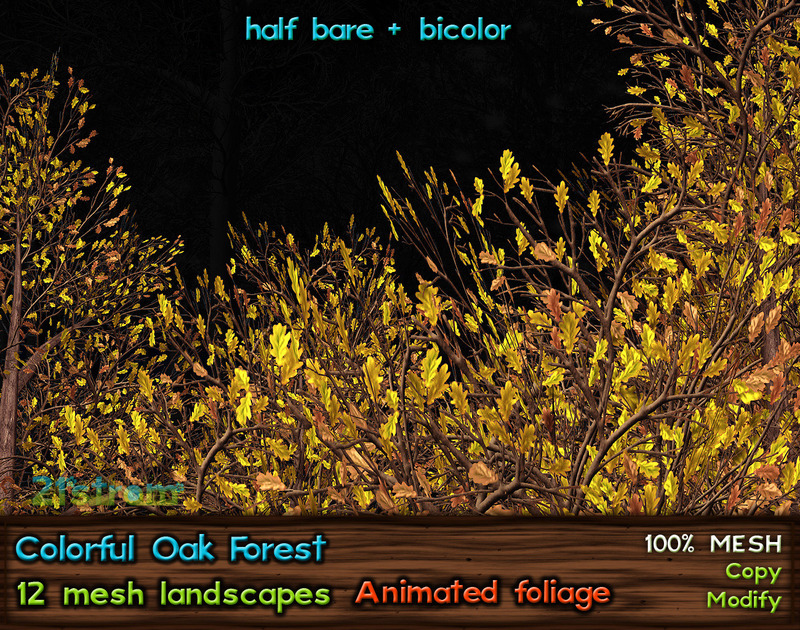 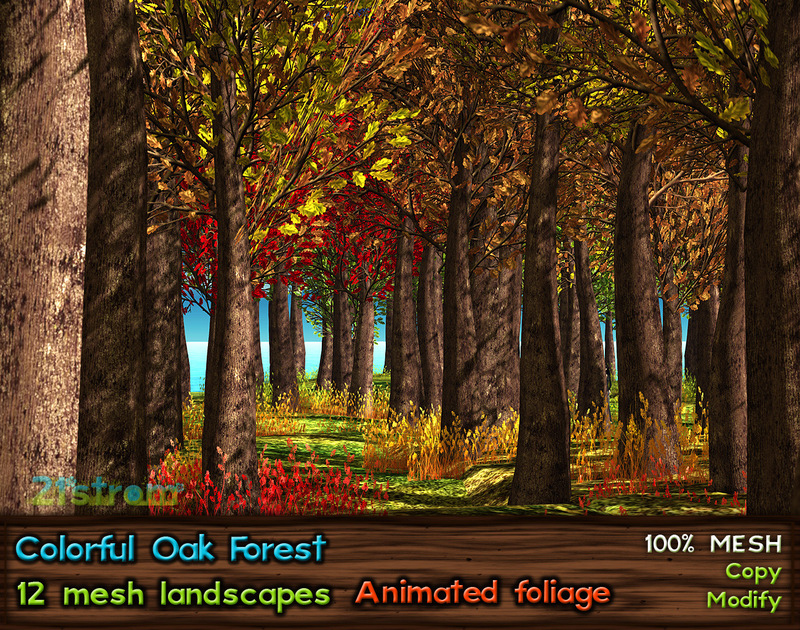 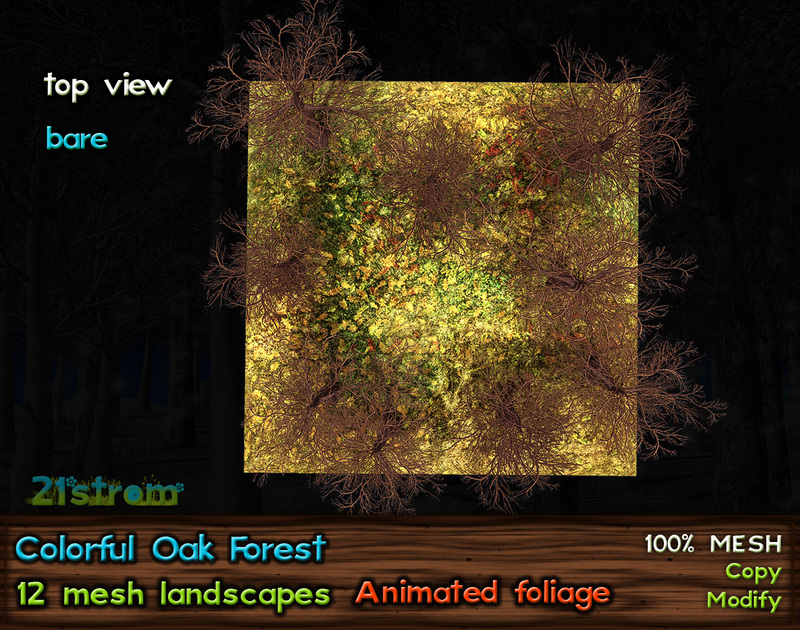 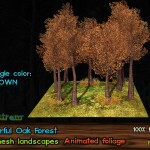 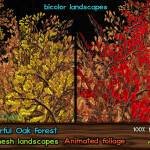 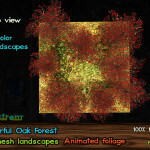 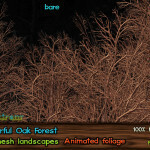 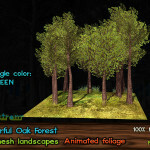 Colorful Oak Forest is a set of landscapes with Whispering Wind – animated tree foliage. 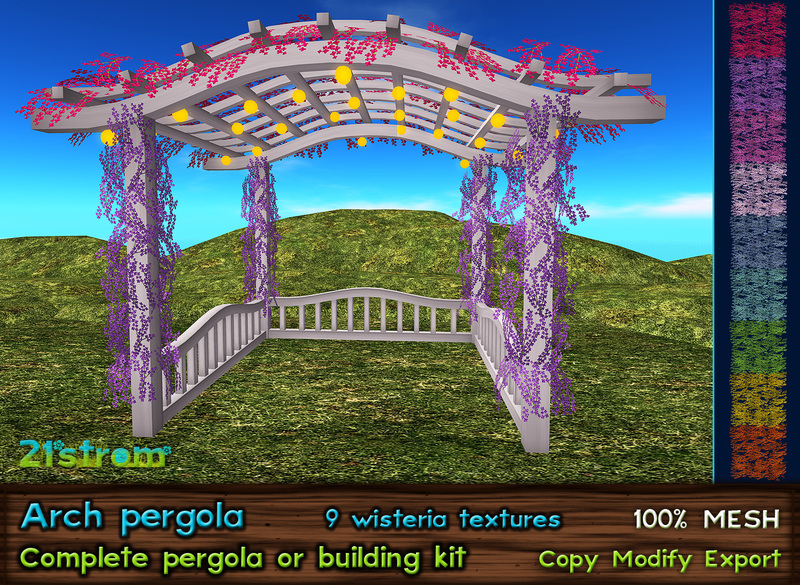 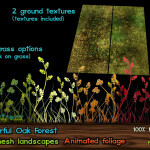 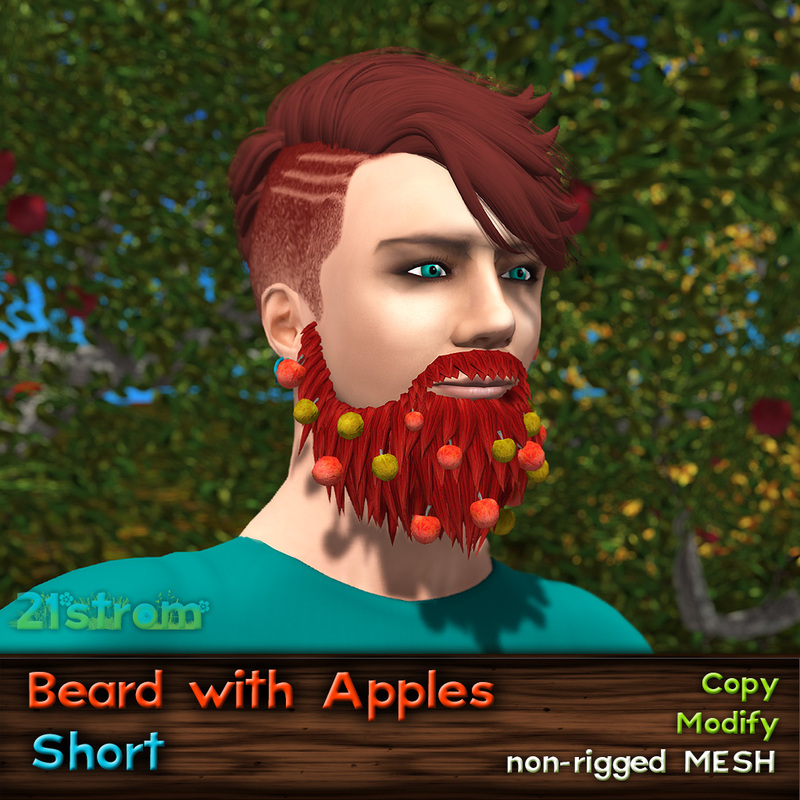 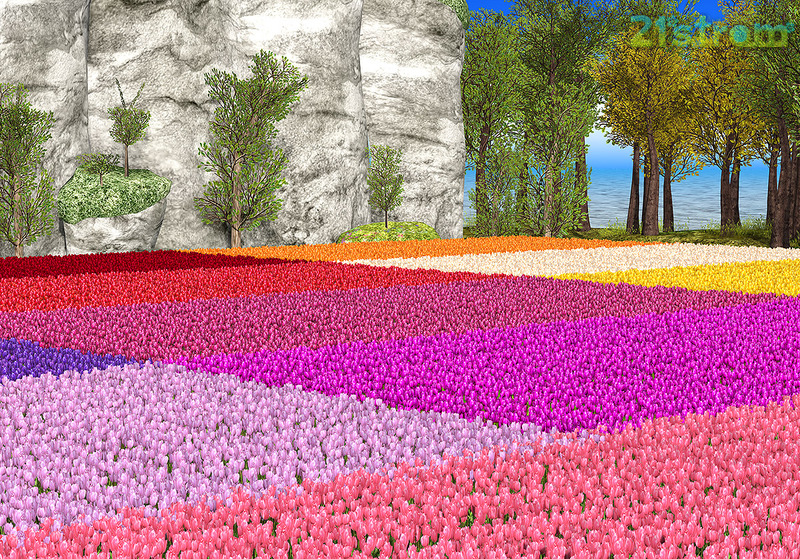 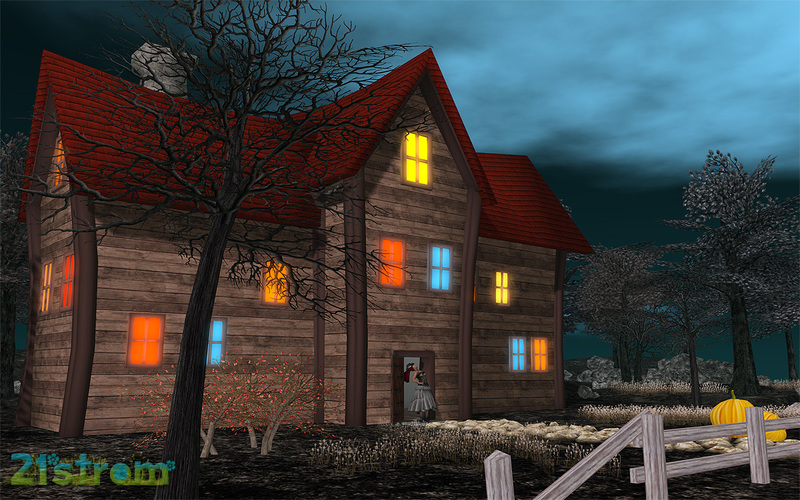 Set includes 12 mesh landscapes with different foliage. 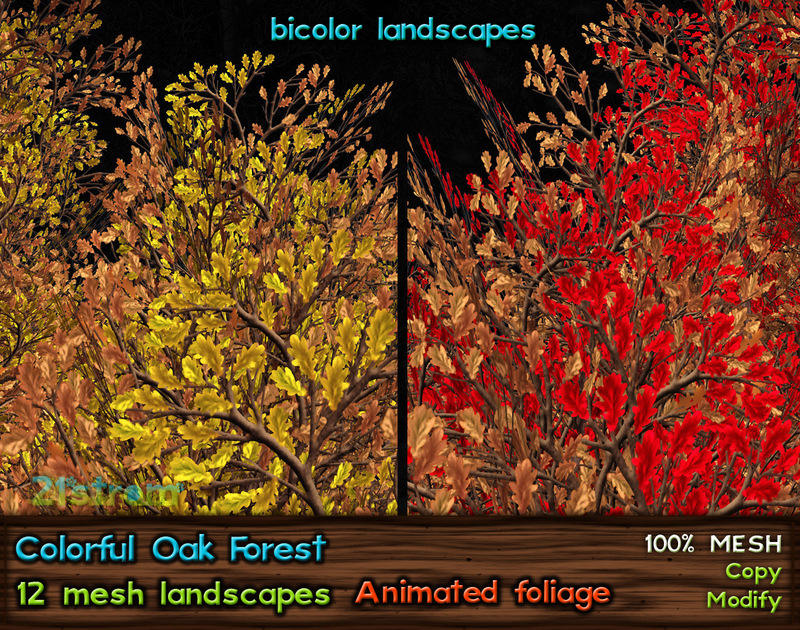 Foliage is in single colors, 2 colors, 3 colors or bare. 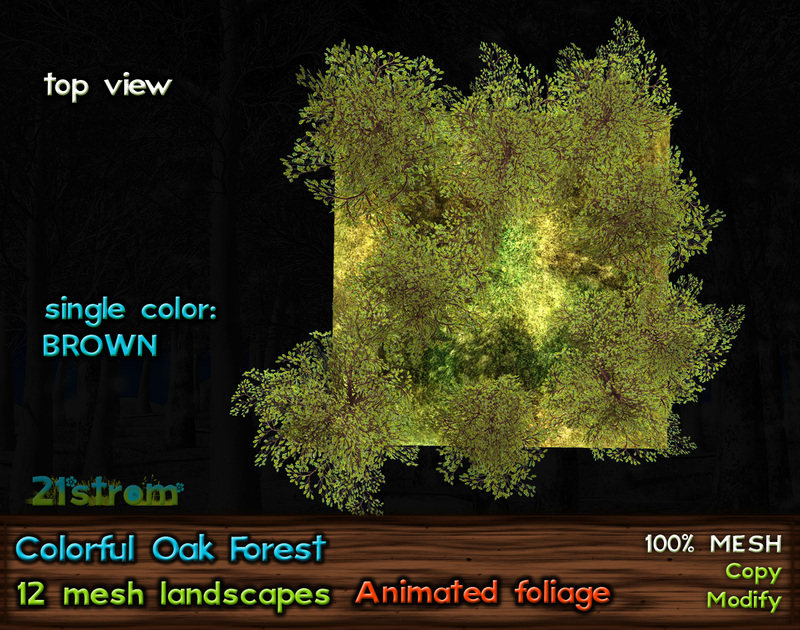 High grass has got 4 color options. 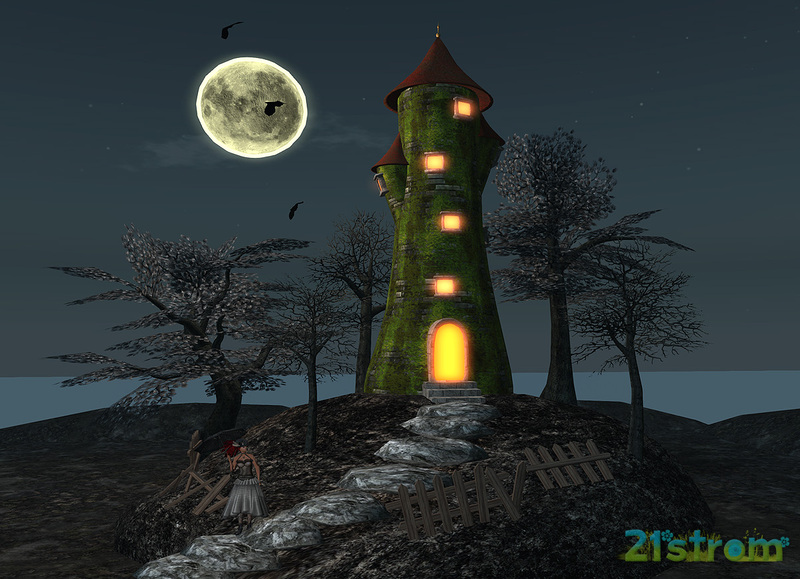 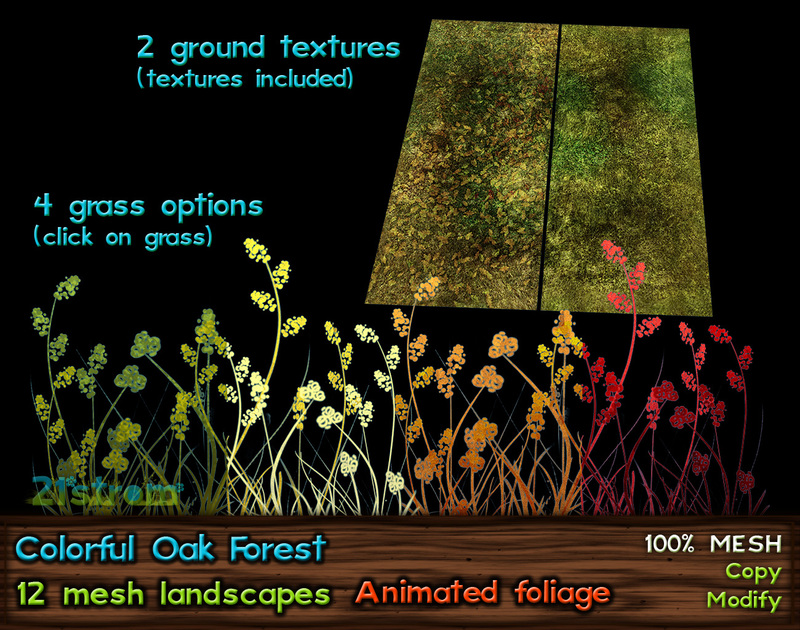 Both seamless terrain textures are included – summer and autumn versions. 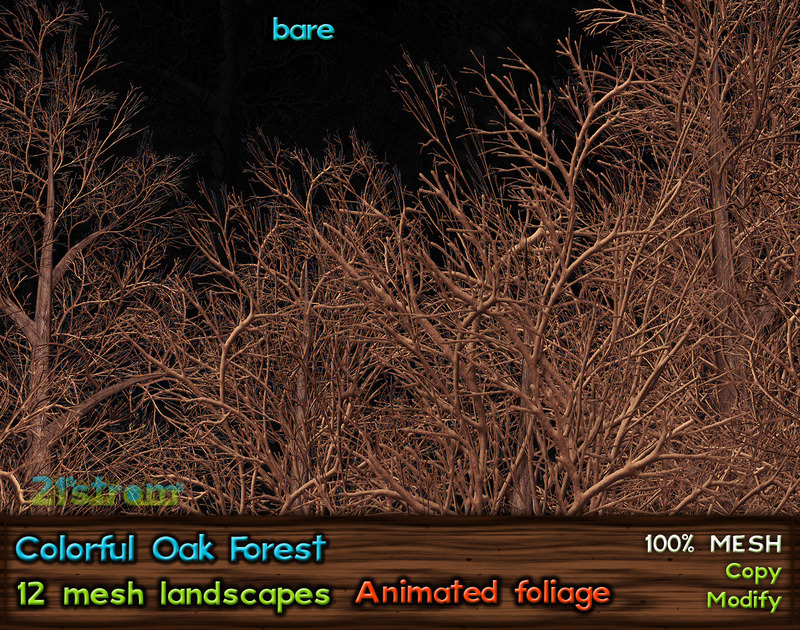 Animation can be turned off by included script.